I am so happy to be joining in with the Wobbles Wednesday linky run by Kate from the naked mum i think we all need some help and encouragement sometimes when it comes to weight loss. My week so far last Thursday i was feeling really positive about getting back into fitness and changing my eating habits, i managed to do my first workout in a long time, i went for my Hip Hop Abs DVD it is only a 3o minute workout... i really did notice how unfit i have become, although i had a red face and felt out of breath afterwards but i really enjoyed it. I really wanted to do some more workouts over the weekend, but i woke up feeling really rough, on Saturday with a sore throat, so the weekend passed with out me doing any workouts. Monday i was at the hospital to see my surgeon about the foot operation i had back in September, my foot has healed perfectly....i also had physio later that afternoon, by Tuesday my foot was aching so i missed out on another workout...on a good note my eating is much better, I have been meal planning it is so much easier knowing exactly what you are going to eat...my snacks have also been healthy ones instead of reaching for a bar of chocolate i have opted for a yogurt and some fresh fruit which is just under 100 calories. Next week i hope to fit in more exercise and continue with my healthy eating. My first workout on Monday was a killer - i ached until today! I've exercised again though this morning and combined with calorie counting and healthier eating Im hoping I'll be pleased when I next step on the scales. Thanks for linking up to #WobblesWednesday. 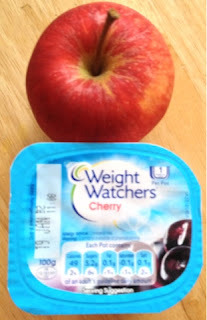 I find those Weightwatchers yoghurts are a godsend. Did you know they do more pudding flavoured ones - raspberry tart in a yoghurt, lemon cheesecake in a yoghurt type things. They are yummy so I stock up on those. Here's to our next week. I'm also wanting to do more exercise. Definitely something I need to focus on. I bet I will ache after the first time! Good luck - sounds like you've made a good start already.